Membership/Cost: Residents: $3 per person/ Seniors and kids 5 and under free / $40 individual season pass / $100 family of four season pass. Non-Residents: $5 per person / $1 seniors and kids 5 and under. Free parking for Altamont residents, $10 parking for non-residents. Non-resident seasonal parking pass is $50. "All pool patrons (resident and non-resident) must have photo identification in order to use the pool." More on park and pool fees. Membership/Cost: Daily rates are $3 for adults, $1 for ages 14 and under and free for kids under 5 seniors (over 60). Season passes (Guilderland residents only): Family $100 / individual $60. Adult lap swims before the pool opens (11 am to 11:30 am Monday-Thursday, Saturday and Sunday 10 am to 11:30 am) are $1. Veterans Memorial Swimming Pool Second Ave. and Thirteenth St. Opening Monday, June 26 Hours: M/W/F: noon to 5 pm; T/Th: noon to 6 pm; Saturday: noon to 4 pm Membership/cost: Residents must obtain pool pass at Watervliet Dome on 13th Street from 12 pm to 5 pm. Season passes for residents are $5 for adults, $3 for kids, free for seniors. Non residents $5 per day or $25 per season. The city of Troy's public swimming pools are CLOSED for the 2017 season. Hours: Monday-Friday 1-8 pm, weekends noon- 7 pm (starting June 26). The pool is open June 10 through June 26 from 3:30-7 pm. Membership/Cost: $2 per day per person, individual season pass is $45, family season pass is $140. Here's Clifton Park pools info. And here's more on how to get memberships. Fees: Individual $125; Couple $195; Family $260; Babysitter $50 in addition to family fees; guests are $3 (see website for details). Call 371-6667 for application details. "All members are required to provide their photo ID for admission to the pool. We cannot make exceptions." Ballston St. at Fane Ct. Cost: $2 adult resident ($4 non-resident), $1 child resident ($2 non-resident), $.75 senior resident ($1 non-resident), children under 2 are free. Season pass: $70 family ($225 non-resident family), $40 single ($100 single non-resident). Cost: $2 Wilton residents / $5 for non-residents / children under 2 free / there's no fee for parents or guardians not using the wet area of the park. Cost: $2 adults, $1 children ages 5-11 and NYS seniors 62 and older, children under 5 are free. $2 for NYS seniors on weekends and holidays. Vehicle fee $8 per car. Cost: $8 for adults, $4 children ages 5-11 and NYS seniors, children under 5 are free.$8 for NYS seniors on weekends and holidays. Vehicle fee $8 per car. Here's info for Schenectady's city pools. It's from last year, but we've updated everything below. Membership/cost: Family season pass $250 / couple $195 / one parent and one child $165 / one adult $110. Daily passes: $6 adult ($7 guest) / $4 for 2-12 yrs ($5 guest) / free for 65 years and older ($5 guest). 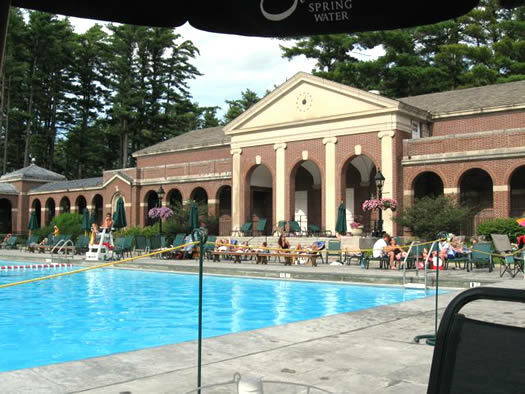 You must be a Niskayuna resident or guest of a Niskayuna resident to use this pool. Compiled for 2017 by DaseyAnn Taylor. Any dates/times for the splash pad near the Rennselear Train Station? Or the new one to be opened in Scotia's Collins Park?